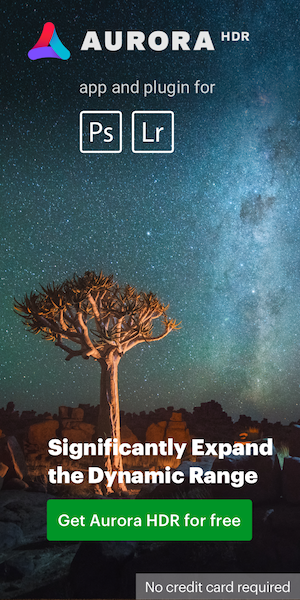 Today Nikon announced their financial results for Q1 of 2012. Net sales are up 12% and operating income is up 94%. The company sold sold more imaging products in all three categories compared to Q1 of 2011: 310,000 more single-lens reflex cameras, 440,000 more interchangeable lenses and 490,000 more compact cameras. 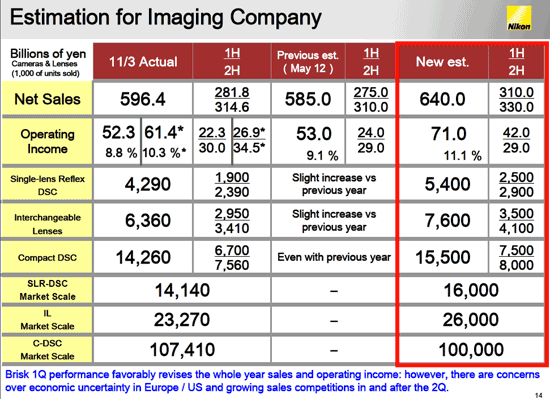 Nikon also raised its forecast for the 2012 financial year (ending March 31, 2012). Owing to stable production, SLR-DSC and interchangeable lenses satisfied robust demands. C-DSC sales volume increased 14% in spite of negative market growth. 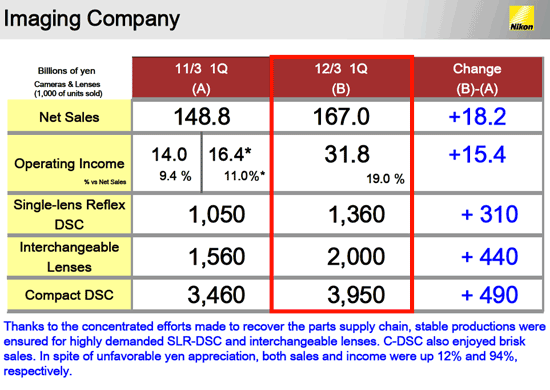 Adverse impact by strong yen was absorbed, resulting in 12% sales and 94% income growth. Brisk 1Q performance favorably revises the 1st half sales and operating income: however, there are concerns over economic uncertainty in Europe / US and growing sales competitions in and after the 2Q. This entry was posted in Other Nikon stuff and tagged Nikon financial results. Bookmark the permalink. Trackbacks are closed, but you can post a comment.